LIM Wei-Ling has travelled to some of the world’s finest museums. From the magnificent Palace Of Versailles in Paris and the unique Tate Museum in London to the modern MoMA and Frick museums in New York, she has explored a good number of the world’s greatest artworks, firsthand. 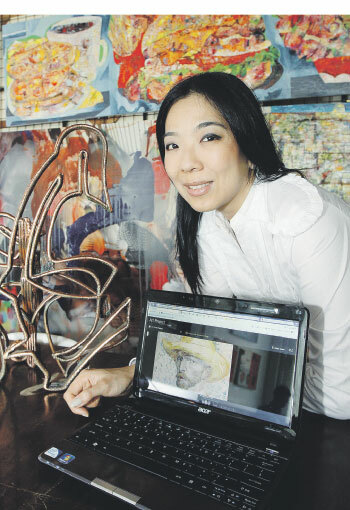 “You’ve got to go to all these places — museums and galleries — to be able to really learn and appreciate arts,” says the socialite, painter and art lover, who owns the Wei-Ling Gallery of Contemporary Art in Brickfields. But these days, Lim finds less need to travel to pursue her interests. This comes in the wake of the Google Art Project (www.googleartproject.com), a new initiative by Google to enable people to explore museums around the world as well as discover and view hundreds of artworks, at the click of the mouse. “I can examine paintings from far off and close up, and poke around some of the great museums of the world. All these, within the comforts of my room. According to Lim, it is a great medium for artists to explore, or to see what their colleagues around the world are doing. “In the 90s or earlier, you would have to travel the globe to visit all these fine museums. But now, with applications like Google Art, the world has become smaller,” she says. Lim recalls the time when she was an art student in Australia, and how difficult it was to see famous artworks, due to such factors as time and cost. “At that time, all the artworks that I saw were from books and if I had to do an assignment on an artist like Picasso, I’d have to do paper cuttings on the artworks, etc. Today, with the Internet and initiatives like Google Art, life has become easier,” she says. “I can just surf the Internet and visit the museums listed in the website.” Google Art Project The Google Art project is an online compilation of high resolution images of artworks from galleries worldwide, as well as a virtual tour of the galleries in which they are housed. The project was launched on Feb 1, 2011, by Google. To date, it has 17 museums on board, including MoMA (Museum of Modern Art) in New York, Museo Reina Sofia in Madrid, Spain, Palace Of Versailles in France, Van Gogh Museum in Amsterdam, National Gallery in London and Alte Nationalgalerie in Berlin. The way the virtual tour is designed allows visitors to actually “walk” inside the museums, like if they are really there in person. This gives them a sense of scale of the artworks being displayed and the size of the museums and galleries. The “walk-through” feature uses Google’s Street View technology. The project includes 16 images of over one gigapixel in size (over 1 billion pixels). The largest, Ivanov’s The Apparition Of Christ To The People, is over 12 gigapixels. In comparison, a typical digital camera takes pictures at 10 megapixels, or about 1,000 times smaller in area. Virtual visits Lim says the sense of scale is important because, prior to Google Art, people could only see artworks in magazines, papers and the Internet, but they were “flat”. And it’s always hard to gauge the real size of the artworks, she adds. The Les Demoiselles d’Avignon painting by Picasso, which is very large, is a good example. “Another interesting feature is the ability to zoom into the artworks to see all the details.” As she speaks, she points to one of the many artworks in her gallery. “How close can you get to this artwork?’” she asks. “In Google Art, you can zoom in as if you’re holding a magnifying glass to see details of the paintings up to the point where you can see the tiny cracks of the paint on the canvas.” Some artworks are featured in super high gigapixel resolution. These images contain around seven billion pixels, which is around 1,000 times more detailed than the average digital camera resolution. “This is a plus feature for art lovers or students where they can study the arts better,” she says. Learning from Google Art Although she hardly has time to paint these days due to her busy schedule, Lim finds that she needs to constantly look at other people’s work, not just in Malaysia, but from around the world as well. “This is important and applies to all artists. If you’re true to your art, then you will constantly need to evolve and offer something new. You need to keep up with the latest developments across the globe in the art scene,” she says. “The Palace Of Versailles in Paris for instance, showcases modern contemporary artworks like sculptures, from time to time. It constantly gives visitors something new and fresh to look at.” With Google Art, one can keep track of these new developments without having to travel all the way to visit the museums. There is another feature that makes Google Art a worthy creation — it’s open 24/7 and 365 days a year. It’s a tour that you can make at your own leisurely pace, anytime, anywhere. “You don’t feel the pressure to finish the museum tour in a day. You can take a month to do it and find out everything about the artists — the time of his life when he did a particular work and other artworks that he made earlier or later,” says Lim. 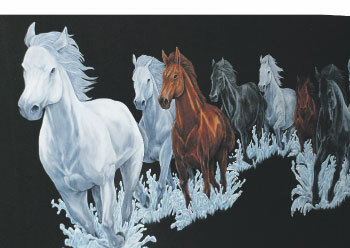 Information that accompanies each artwork and the artist is very comprehensive too. “Before Google Art Project, the information was scattered here and there. Now, it’s all available in one location. This will come in handy if one plans to visit the museum in person later. Expectations As much as she likes traditional stuff like paintings, Lim is very much into contemporary art. “These are works that are not just paintings but in other formats like digital, interactive, collage, etc,” she says. “This is one area that Google may want to include in its future expansion of its Art Project.” Besides this, she also hopes that Google Art will expand to feature private art collections. “Having these yet unseen collectibles would be interesting. For example, a famous artist would have made 5,000 works in his lifetime but a museum may have only 50 per cent of it and the rest may be in private hands,” she says. Lim wants to see the level of art appreciation here increase. “There are many talented artists in the country but most have limited opportunities to display their work,” she says. On her part, she has taken the initiative to document — in printed and digital format — all the artworks produced by Wei-Ling’s in-house artists. “I catalogued and archived all the work and published them in booklets and put them on our website (www.weiling-gallery.com).